Looking for a white picket fence with narrower pickets? One you’ll never need to paint? 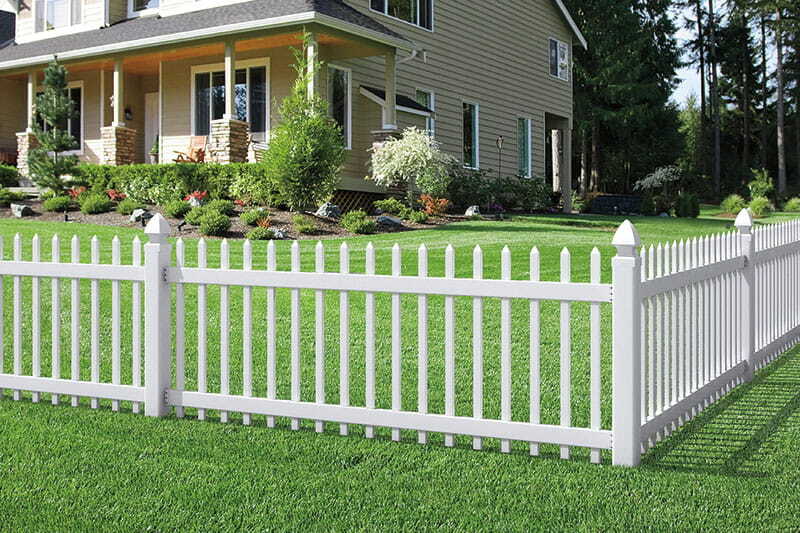 The Pinehurst Spaced Picket Vinyl Fence is your answer. It’s made of low-maintenance vinyl and features 1-1/2 in. pickets which offer a narrower profile than pickets on a traditional picket fence. Our Pinehurst fence products come in ready-to-assemble boxed kits. Posts and brackets sold separately. We offer three Pinehurst fence panel sizes with coordinating gates. Picket size – 7/8 in. x 1-1/2 in.